Protax | Tackling tax evasion in European sports: Is Spain winning the fight? 11 Sep Tackling tax evasion in European sports: Is Spain winning the fight? Tax evasion has, historically, been a great concern to governments across the world. It is a complex phenomenon involving diverse actors and enablers who wilfully develop and operate strategies to cocoon themselves from the tax authorities or avoid paying taxes. The EU Commission reported that 1 in 5 euros is lost because of tax avoidance and it is not clear what the amount and scale of tax evasion amount to. The EU funded project, PROTAX, aims to enhance the prosecution of tax crimes in the EU. In recent times, following the revelations such as Football Leaks, Lux Leaks, Swiss Leaks, the Panama Papers and Paradise papers, tax evasion has even become a ‘greater concern for many governments across the EU’, particularly for tax authorities and other Law Enforcement Agencies (LEAs). In tandem with these developments, the criminalisation of tax crimes was stipulated in the EU’s anti-money laundering legal framework. Yet, the number and success rates of prosecution of tax crimes remains unclear. These differences seem to derive from not only particular legal instruments and traditions but also law enforcement practices at national level across the EU. For instance, Article 305 of Spanish Criminal Code (2015) treats tax evasion as a fraudulent conduct which amounts to criminal act. Criminal liability of defrauding the Spanish Treasury attracts penalties that range from fining, imprisonment, to withdrawal of social benefits. Whereas in Italy, criminal law is used only as an instrument of last resort, whereby the law criminalises tax evasion only where specified thresholds of tax are evaded. 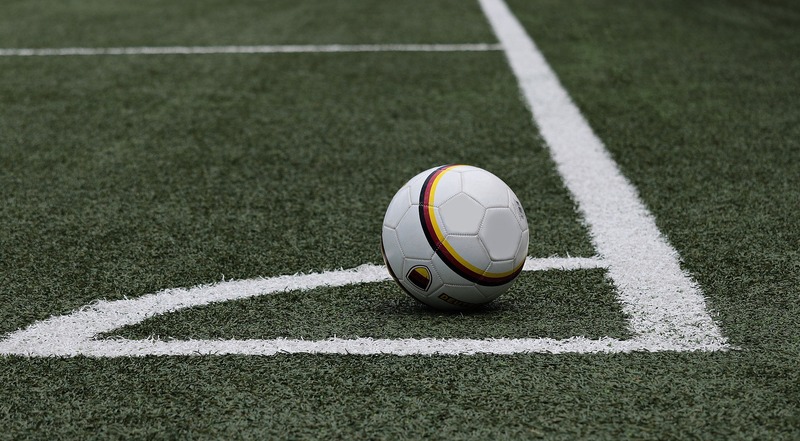 The Football Leaks have highlighted the grand evasion of taxes in the sport fraternity, particularly amongst high-profile footballers in Europe. When Football Leaks launched its revelations in 2015, it was deemed to be the biggest ever crackdown of the financial secrets in sporting history. This exhumed the untidy and dubious financial transactions in European football in which both players and club managers alike were involved. The strategies and methods used by Europe’s highly-rated football players and their professional enablers to engage in illicit financial transactions designed to evade taxes were clearly exposed and in some occasions convicted. These exposés attracted curious and serious attention of many authorities in the EU to tackle the prevalence of tax evasion. There were some mixed reactions to the leaks. Albeit largely in favour of the investigations, some authorities fell into the trap of suspicion which held that the revelations were geared towards parochial interest rather than for the public good. For instance, a claim was made to the effect that authorities of Portugal were, in 2016, investigating ‘Football Leaks’ over the allegations that they were extorting and blackmailing unsuspecting targets like Doyen Sports, Anthony Martial and Gareth Bale for a million-dollar exchange. A Spanish judge (Arturo Zamarriego), upon the complaint launched by Senn Ferrero Asociados, did issue a judicial decree prohibiting EIC network from publishing its revelations before the legal investigations into how they obtained the information was completed in order that ‘the ongoing investigations, as well as confidential, fiscal and legal data’ of those affected would be protected. This move was not taken lightly by many people. Reporters Without Borders was vocal enough to have averred that judge Zamarriego’s decision was simply an effort to ‘censor on a continental scale’. At the EU level, due to the cumulative effects of these revelations, in 2017, 17 countries that were found in the revelations were blacklisted while 47 countries were said to be put ‘on notice’, as a reactive measure to counter the external threat to the fight against financial crime including tax evasion in EU and to “clamp down on the estimated £506bn lost to aggressive avoidance every year”. By March 2018, however, 10 or so countries were removed from the blacklist. Our ongoing H2020 project, PROTAX, aims to develop a dossier of innovative solutions that provide new techniques and procedures to prevent, investigate and mitigate not only tax crimes. Identify and formulate as effective and efficient to successfully fight tax crime in the EU. encouraging EU Member States to responsibly administer tax proceeds and properly accounting to the EU citizens. Frontally harness in ways that should eventually serve and satisfy the comprehensive understanding and appreciation of tailored needs on assuring tax fidelity in EU much in line with ISO 50500 -fundamentals and vocabulary’s definition of innovation management. It appears that many countries in the EU are finding it hard to use their current legal dispensation to have a firm grip of the necessary tools for fighting tax crime amongst high-profile sport personalities. There are success stories, nonetheless. For instance, despite some inadequacies, Spain is using its Criminal Code and General Tax Law and accompanying regulations to tackle tax avoidance and tax fraud. Following the Football Leaks, Spanish tax authorities got rare insights into the scale of tax evasion amongst highly-rated sportsmen. These include Radamel Falcao, Lionel Messi, Cristiano Ronaldo, Neymar, Javier Mascherano, Marcelo, and Alexis Sanchez. In the case of Lionel Messi, the LEAs investigated, prosecuted and convicted him, along with his father, Marcos Benjamin. They were accused of wilfully using illegal strategies to evade paying taxes using several jurisdictions and enablers to achieve this objective. The provincial court of Barcelona had given a judgement that Messi and Benjamin were each guilty of three counts of tax fraud during a period of several years against the Spanish Treasury amounting to a total of about £4.1 million. They were also fined and sentenced to 21-month suspended imprisonment which was later turned into fines. The pair went to the Supreme Court of Spain and appealed against the 5th July 2016 conviction by the Provincial Court. Messi entirely lost the appeal while Benjamin received partial rejection of his case. Before and during the court processes, Messi and Benjamin had paid majority of the tax debt owed the Spanish Treasury. So, by the time their appeal was rejected by the Supreme Court, the outstanding unpaid tax debt together with interests and fees was relatively small. Yet, the original fraudulent and criminal act was sustained. There is little doubt that they would not have paid up in full the remaining amount they owed the public treasury after the Supreme Court’s verdict. This was a case that was fought all through by the Tax authorities and other LEAs. Messi and his Dad had realised their folly much earlier and with reliance on their proactive measures to retrace their steps, they had thought that they were given a raw deal by the tax authorities and the verdict reached by the Provincial Court. The Criminal Chamber of the Supreme Court disagreed with them and upheld the original judgement. During the world cup and on the day Portugal’s highly-rated Juventus player, Cristiano Ronaldo scored a head trick against Spain, he has reached settlement plea deal with the Spanish Tax Agency, the Public Prosecutor and the Spanish Public Treasury to pay about 19 million euros and to serve a suspended sentence of two years for tax fraud. For this settlement, Ronaldo pleaded guilty to four offenses of tax fraud against the Public Treasury, as charged, which occurred in 2011 with amount of 1.39 million euros, in 2012 with amount of 1.66 million euros, in 2013 with amount of 3.2 million euros, and in 2014 with amount of 8.5 million euros – totalling 14.75 million euros. What was said to have been finally agreed upon by the parties was a reduction of the defrauded tax amount to 5.7 million euros, in addition to fines and interest, amounting to the 19 million euros with the possibility of adding the legal costs occasioned by these proceedings. Ronaldo had been accused of having hidden taxable revenues from his image rights using tax enablers such as advisers and agents. This case does not appear to be completely over as settlement processes are still ongoing and prosecutors would have preferred custodial sentence as a deterrent measure. Suffice to say that the tax system appears to win the day. Another prominent case from Spain is Javier Alejandro Mascherano of Barcelona FC, who admitted to the guilt of tax fraud based on the recommendation of his “new advisors”. He, however, denied knowledge of the infractions and so said that he was thinking of exercising a right to take “action against [his first advisors] who made incorrect assessments and recommended things to [him] that were not correct.” He was accused of attempting to hide his income, through his companies abroad, from ‘his image rights in 2011 and 2012’. He was found guilty of tax fraud against the treasury. The Spanish authorities and LEAs, therefore, slapped a 12-month custodial sentence (which later turned to be suspended prison sentence) on Javier for defrauding the Public Treasury of Spain amounting to about 1.1 million euros. He was fined 800,000 euros and made to bear the legal costs. Before the legal heat was turned on him, Javier had retraced his steps and repaid the indebted tax, in addition to the payment of interest of 200,000 euros. In the case of Radamel Falcao, an ex-player of Manchester United and Atletico Madrid, was accused by the tax authorities and other LEAs of hiding the gains he made from his image rights by the use of ‘a shell company in the British Virgin Islands and Ireland’ to facilitate the criminal conduct between 2012 and 2013. On 23 of May 2018, Radamel was brought before a judge in Madrid by public prosecutors and was found guilty of tax fraud against the public treasury. Radamel did accept the £7.9 million fine issued by the judge. He was also given a 16-month suspended prison sentence which was reduced to £84,300 fine. This was yet a successful attempt by the LEAs to combat tax crime in Spanish football. Another case which was part of the tax fraud saga in Spain is that of Xabi Alonso who was accused by Spain’s Public Prosecutors as having committed tax fraud against the public treasury which occurred from 2010 to 2012 amounting to about 2 million euros. The claim by the Public Prosecutors was to the effect that Alonso had used the Madeira (Portugese island) based company to criminally avoid the declaration of his taxable income from his image rights. He was, therefore, asked to return the tax debt and its accumulated interests for the three years. He was also charged for five years’ imprisonment and a fine of €4 million. This case is still being pursued. It had been shelved and reopened again. The foregoing cases do indicate that scale of the tax crimes in sports is major and combating these are not an easy task. Spain has been successful, in most of the cases that have been brought to the limelight recently, in enforcing the Spanish General Tax Law (2015) and the Spanish Criminal Code (2015) in tandem. While there has been a clear move towards criminalisation of tax crimes in Spain, it can be argued that there have not been severe penalties for those that have been found guilty. Most of them paid fines without custodial sentences being served, probably because of the practice in Spanish tax jurisprudence that prison sentences of two years or less for the first-time offenders are suspended and can be substituted for a fine. Beyond institutional and regulatory inefficiencies as well as personnel capacity that bedevil tax systems in the EU, the critical challenge many countries face in tackling tax crimes is that corruption has been hardwired into financial architectures and enablers who operate in multiple jurisdictions beyond the EU. The complicated nature of this integration or nexus does require innovative and rigorous strategies from the EU and its Member States. In recent times, success in tackling tax crime in the sporting arena has been encouraging (particularly in Spain). However, an EU wide strategy requires further intelligence and innovative support to unlock the full potential of and improve current laws, regulations and resolutions relating to tax performance and fidelity. PROTAX seeks to ensure innovative solutions that are tailored, integrative and durable. In doing so 10 Work Packages, 38 Tasks and 29 Deliverables are characterised by the uniqueness of the project’s methodology for achieving both the purpose of fighting tax crime and the specific demands or requests as to why, how, where, what and which tax crime must be prevented and prosecuted across the EU. We will be publishing further success stories of Member States and our activities. Join our mailing list and follow us on Twitter and LinkedIn for future updates.